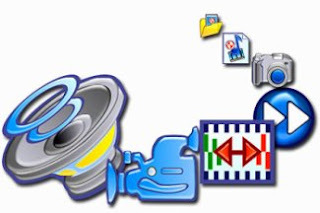 A Multimedia file format is a particular way to encode multimedia files such as audio, video, and images for storage in a computer file. Some of the most known closed-source multimedia formats are MP3, WMV, and QuickTime. However, I prefer to utilize free and open-source multimedia file formats because their full specifications are freely available and for which there are no restrictions (e.g. legal or technical) on their use. They are also good for interoperability and to prevent vendor lock-in. Here are some of the most widely-used free/open-source multimedia file formats. Portable Network Graphics (PNG) is a bitmapped image format that employs lossless data compression. PNG was created to improve upon and replace the GIF format, as an image-file format not requiring a patent license. The PNG initialism is optionally recursive, unofficially standing for “PNG's Not GIF”. PNG supports palette-based (palettes of 24-bit RGB colors), greyscale or RGB images. PNG was designed for transferring images on the Internet, not professional graphics, and so does not support other color spaces (such as CMYK). PNG files nearly always use file-extension "PNG" or "png" and are assigned MIME media type "image/png". Multiple-image Network Graphics (MNG) is a public graphics file format for animated images. MNG is closely related to the PNG image format. When PNG development started in early 1995, developers decided not to incorporate support for animation, not least because this feature of GIF was seldom used at the time. However, work soon started on MNG as an animation-supporting version of PNG. Version 1.0 of the MNG specification was released on January 31, 2001. MNG is currently not as widely supported as PNG. Nonetheless, Konqueror has native MNG support, and MNG plugins are available for most other web browsers. Mozilla browsers and Netscape 6.0, 6.01 and 7.0 included native support for MNG until the code was removed in 2003 due to code size and little actual usage, causing complaints on the Mozilla development site. As a result, a MNGzilla project was started to offer patched Mozilla and Firefox browsers. Neither Internet Explorer nor Safari currently supports MNG. Recent Sony Ericsson phones support MNG files in their themes. 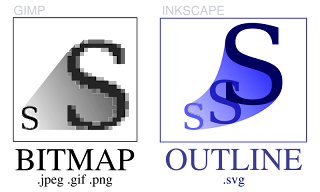 Scalable Vector Graphics (SVG) is an XML specification and file format for describing two-dimensional vector graphics, both static and animated. SVG can be purely declarative or may include scripting. Images can contain hyperlinks using outbound simple XLinks. It is an open standard created by the World Wide Web Consortium's SVG Working Group. Ogg is a multimedia container format, and the native file and stream format for the Xiph.org multimedia codecs. As with all Xiph.org technology, it is an open format free for anyone to use. As with most container formats, it encapsulates raw compressed data and allows the interleaving of audio and video data inside a single convient format. Other examples of container formats are Quicktime .mov, the MPEG program stream, and AVI. Vorbis is a free and open source, lossy audio codec project headed by the Xiph.Org Foundation and intended to serve as a replacement for MP3. It is most commonly used in conjunction with the Ogg container and is therefore called Ogg Vorbis. Vorbis development began following a September 1998 letter from Fraunhofer Gesellschaft announcing plans to charge licensing fees for the MP3 audio format. Soon after, founder Christopher "Monty" Montgomery commenced work on the project and was assisted by a growing number of other developers. They continued refining the source code until a stable version 1.0 of the codec was released on July 19, 2002. The Matroska Multimedia Container is an open standard free Container format, a file format that can hold an unlimited number of video, audio, picture or subtitle tracks inside a single file. It is intended to serve as a universal format for storing common multimedia content, like movies or TV shows. 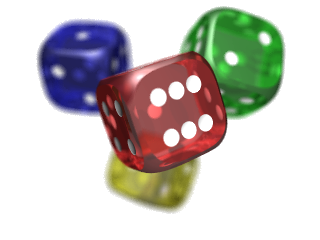 Matroska is similar in conception to other containers like AVI, MP4 or ASF, but is completely open source. Matroska file types are .MKV for video (and audio) and .MKA for audio-only files. SMIL, the Synchronized Multimedia Integration Language, is a W3C recommended XML markup language for describing multimedia presentations. It defines markup for timing, layout, animations, visual transitions, and media embedding, among other things. SMIL allows the presentation of media items such as text, images, video, and audio, as well as links to other SMIL presentations, and files from multiple web servers. SMIL markup is written in XML, and has similarities to HTML.